***I am going to keep updating this article, so if you want to be featured, please submit your idea here. Remember, it’s all about interactions! 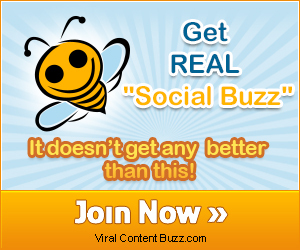 I use Viral Content Buzz to get social shares for every post I publish. There’s an “Interactions” tab that drives major interactions from users whose content you are sharing: Great for building up your social media account! If you need more interactions, make your social media content impossible to pass! Colorlib offers you some great tools for you to easily create engaging visuals. I use this post as my secret weapon! In the above linked article, it shows the most popular Social Media chats, Twitter chats, etc. Depending on what day, I publish my article, I will look into the above linked article and I will use the #HASHTAG that is closest, to the time of my publishing. If your article is relevant, submitting it to a very popular, on going Twitter chat, while the Twitter chat is happening, watch out! The traffic will start flooding into your site. was having a hard time getting people to fill out a survey I’d created. After reading this post I tried adding the word “help” on twitter and it worked like magic. People came over to share their opinion and retweeted the survey. I’ve once tried this method and I’ll try to recall the specific details of my endeavor. I hope that my experiences will prove to be of much value to you. Here goes. This has everything to do with the “thought-scape” that prevailed at the moment. Remember the time when Diablo III’s launch was all the craze everywhere? Diablo 2’s success was a resounding and long lasting thing which gave D3 a much needed anticipation boost. People started talking about it like it was the iPhone and the buzz reverberated because of the prospects for D3s real money auction house. I knew I had to act fast because there are people out there who knew more about D3 than I did and they had the leverage of having contact with Blizzard insiders. We all know that insider information prior to big launch is a very big advantage. But then tragedy struck… and it was called Error 37. It was something that persistently plagued the Open Beta launch of Diablo 3. It was so annoying and so universal that eventually, it began to have its own meme. Meme began another meme which began another meme which began another meme – you get the picture, and people collectively laughed at their own misery. Thus began the race to come up with the funniest meme. It was a two day ruckus with bloggers, jokers and all around slackers trying to outdo each other in the funny department. Then I thought to myself, there are so many unfunny memes out there and I just can’t keep up. It’s hard to make funny memes in a short period of time. So the thought hit me, curate. What I did resulted in a whirlwind of Google searches and meme hunting. Hamsters, dragons, Boromir and others have had to pass the litmus test of what it takes to tickle the Internet’s funny bones. I posted it on Google Plus and on twitter and the result was over 2,000 UVs in one week. I know it’s pretty small, but since before that I only had a few hundred UVs a day, it was a quite a big thing for me. Enough to earn me a few bucks on Amazon Associates. I put an AA affiliate link on the post, linked it to another popular search term at the time which was “Diablo 3 Price” and bingo. A few dollars worth. I could have multiplied my reach but the fun of learning about hashtag riding was enough for me. It’s fast paced and usually requires a team with the same mind and keen sense of smell. Sometimes, you have to smell these things as they happen. What’s going to trend and what are people going to search for that’s related to the trend. When it peaks and the issues come out, that’s where you should be ready. I hope that I could replicate this, but without a fast paced team with the same goal, honesty and fairness it’s going to be really hard to do so on a fast basis. Well, that’s the fable of Diablo 3: the game that launched a thousand memes. My #AskThick tweet got a ton of almost instantaneous retweets and favorites. I ended up with 5 ReTweets and 4 Favorites, and was even featured in the VladTV Round-up of the best #AskThicke comedy tweets. This has happened a number of times for celebrity parody hashtags.. I always try to jump on the bandwagon as it gets a good amount of social interaction for my account. Looking back at my top 3 most clicked tweets 1 of them was a ‘best of’ that included lots of big names so I’m guessing many of them retweeted the article. The other 2 where giveaways I did where I asked people to retweet to enter the competition. I don’t really think you can pin down specific words that cause people to retweet. I think one of the most successful tactics is to try and get the authoritative twitters users in your niche to retweet your message. To do this you need to most likely include them in something such as a review of best of list. As per my experience, images are something that can help you to engage more and more users. Just put in a user attracting image with a catchy title and you’ll feel amazed to see the results. Use these tools to create awesome images that will trigger response! Content with pics gets shared more than content without. Visuals with words, get shared more than visuals without. When the visuals with words deliver a stand-alone message (not just a title of a post, for example), they get shared most. I have found this extremely successful on Google Plus, where shares seem to come more naturally (with less proactive effort on my part) than on Twitter or FaceBook or LinkedIn. I have not measured any of this; it has all been from intuitive monitoring. Calls to action matter on Twitter and that includes even subtle ones. Heidi Cohen last year wrote a piece on a study by Dan Zarella of Hubspot. In the study, Zarella looked at millions of tweets and compiled data to calculate what makes one tweet more successful than another. One of the main things he found was that calls to action tended to work a lot. We often add calls to action to our Twitter updates, adding CTAs such as ‘RT’, ‘please retweet’ or ‘Help’ in line with the data that Zarella uncovered in his survey and have found that it’s not just in an experimental environment it works, but also in real life too. What do you think about using the same content on all social? So if you have some great content on Facebook, then share it on twitter and Instagram aswell? Or would you rather differentiate, and make unique content for all 3 platforms?